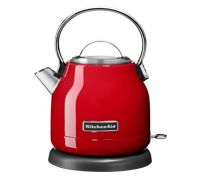 This KitchenAid Store and all transactions herein are managed by K Logistics (KitchenAid Trade Partner). K Logistics shall solely be responsible for fulfillment of all the orders placed through the KitchenAid Store including but not limited to invoicing, receipt of payment and delivery of the products to the customers. In no event shall KitchenAid India ("KitchenAid"), its affiliates, directors, officers, agents, consultants or employees ("Representatives") will be liable for any purchases made through the KitchenAid Store. Customer hereby to the fullest extent permissible waives any and all claims that it may have against KitchenAid and its Representatives arising as a result of or in relation to the KitchenAid Store or purchases made through the KitchenAid Store including inter-alia claims relating to payment and delivery of the products. KitchenAid shall neither be liable nor responsible for any actions or inactions of the Seller nor any breach of conditions, representations or warranties by the Seller of the products and hereby expressly disclaim any and all responsibility and liability in that regard. KitchenAid shall not mediate or resolve any dispute or disagreement between you and the Seller of the products. KitchenAid further expressly disclaim any warranties or representations (express or implied) in respect of quality, suitability, accuracy, reliability, completeness, timeliness, performance, safety, merchantability, fitness for a particular purpose, or legality of the products listed or displayed or transacted or the content (including product or pricing information and/or specifications) on the website. At no time shall any right, title or interest in the products sold through or displayed on the website vest with KitchenAid nor shall KitchenAid have any obligations or liabilities in respect of any transactions on the website. You shall indemnify and hold harmless KitchenAid India, its subsidiaries, affiliates and their respective officers, directors, agents and employees, from any claim or demand, or actions including reasonable attorney's fees, made by any third party or penalty imposed due to or arising out of your breach of these Conditions of Use or any document incorporated by reference, or your violation of any law, rules, regulations or the rights of a third party. You hereby expressly release KitchenAid India and/or its affiliates and/or any of its officers and representatives from any cost, damage, liability or other consequence of any of the actions/inactions of the Vendors and specifically waiver any claims or demands that you may have in this behalf under any statute, contract or otherwise. Use of this website is available only to persons who can form a legally binding contract under the Indian Contract Act, 1872. If you are a minor i.e. under the age of 18 years, you may use this website only with the involvement of a parent or guardian. When you visit this website or send e-mails to us, you are communicating with us electronically. You will be required to provide a valid phone number while placing an order with us. We may communicate with you by e-mail, SMS, phone call or by posting notices on the website or by any other mode of communication. For contractual purposes, you consent to receive communications including SMS, e-mail or phone calls from us with respect to your order. Information on this site is provided "as is" without warranty of any kind. Information on this Web site may contain typographical errors, technical inaccuracies or other errors and may be changed at any time without notice. KitchenAid has a policy of continuous improvement of products and reserves the right to make improvements or changes to products without notice. 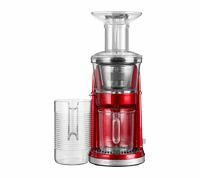 The actual Product may differ from the images of the product shown on the website and neither K Logistics nor KitchenAid shall be responsible for any deviation or difference in the actual Product delivered and the images shown on the website. and delivery of the products. You are being re-directed to a third party site - CCAvenue (Payment Gateway Provider) wherein you can make your payment using your debit or credit card or any other online payment options. KitchenAid or K Logistics does not guarantee or warrant the accuracy or completeness of the information, materials, services or the reliability of any service, advice, opinion, statement or other information displayed or distributed on the third party site. You shall access this site solely for purposes of payment of your transaction(s) at your own risk and consequences and you understand and acknowledge that availing of any services offered on the site or any reliance on any opinion, advice, statement, memorandum, or information available on the site shall be at your sole risk. KitchenAid and K Logistics, and their affiliates, subsidiaries, employees, officers, directors and agents, expressly disclaim any liability for any deficiency in the services offered by the payment gateway provider whose site you are about to access. Neither KitchenAid and K Logistics, nor any of its affiliates nor their directors, officers and employees will be liable to or have any responsibility of any kind for any loss that you incur in the event of any deficiency in the services of the payment gateway provider to whom the site belongs, failure or disruption of the site of payment gateway provider, or resulting from the act or omission of any other party involved in making this site or the data contained therein available to you, or from any other cause relating to your access to, inability to access, or use of the site or these materials. Note: This Facility Available with select banks only. Payment Gateway Provider reserves the right to add / delete banks without prior notice. 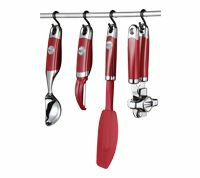 The products on KitchenAid Store are available in select cities within India. The delivery days shall be all weekdays, with an exception to National Holidays and any other public holiday. Delivery shall be made within 10-15 business days from the time of purchase. However, depending on the billing address delivery in remote areas may take more than 15 business days. The delivery shall be made by a third party logistics partner (3PL) and KitchenAid shall not be responsible for any delay in delivery of the Products. The buyer specifically waives any claim pertaining to delay in delivery of Products.